If you've already run a marathon and you're hoping to improve your time, mile repeats are one of the best speed workouts you can do to run a faster marathon. They were popularized by marathoners such as Alberto Salazar. Mile repeats are a nice break from doing your long, slow distance workouts in preparation for a marathon or half marathon. They help you work on your race rhythm and turnover. They will help build your stamina and the muscle and energy systems you need for sustained speed. You can do mile repeats at your tempo pace at any time during the training season to maintain fitness. For marathon training to build speed, use them starting at eight to 10 weeks before the race. You'll want to end them during your taper period 10 to 14 days before your race. You can do the mile repeat workout once per week or once every two weeks. Go to a track where you can run a measured mile. Most tracks are 1/4 mile, so four laps would equal a mile. If you don't have access to a track, measure out a mile in your car or using a site such as MapMyRun. You can also do this workout on a treadmill. Start with two repeats of 1 mile in the first session. Run each mile at about 10 to 15 seconds faster than your realistic goal marathon pace. 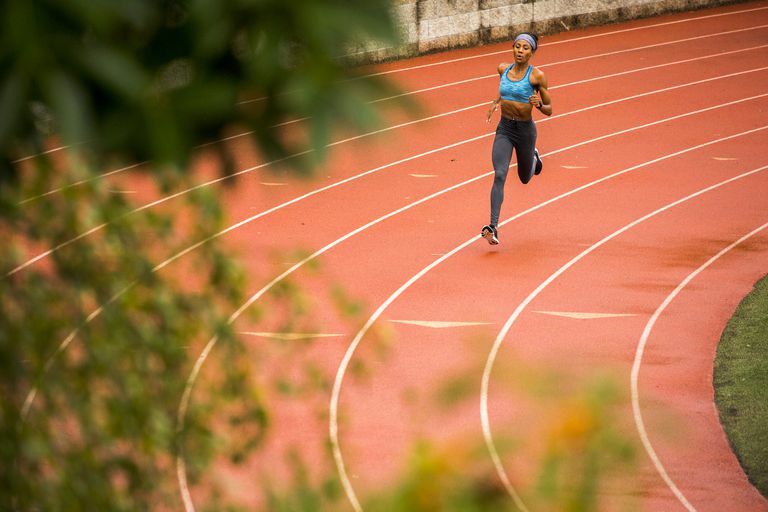 Recover (at an easy pace) for a half-mile (two laps of the track) in between repeats. Make sure your breathing and heart rate have recovered before you start your next repeat. Add another mile repeat the following week so you are repeating the mile three times. Try to maintain that same pace (10 to 15 seconds faster than your realistic goal marathon pace) for each one. If you're an advanced runner, try to work your way up to 6 repeats. Intermediate runners may want to stop at 4 or 5 repeats. Use the mile repeat to work on your running form, paying attention to your stride, posture, arm swing, and your breathing. As you advance in your marathon training, you might want to add hills to your mile repeats or add incline on the treadmill. The fast uphill will help build your leg muscles. Meanwhile, what goes up must come down (except on the treadmill) and you will help improve your leg turnover. Another technique to employ when trying to improve your time is a Yasso 800 workout. It is popular among runners who are trying to achieve a specific marathon goal. You may also want to slow down the mile repeat to your marathon race pace. This can be beneficial for new marathoners so you become accustomed to your race pace. Adding more mile repeats and decreasing the recovery time between miles can also be beneficial. How Far Is a 1500 Meter Race?